In the wake of Ethiopia issuing bonds, it has come to the realization that it may need alternative ports aside that of Djibouti. Ethiopia is to start using the Port of Berbera this month on an agreement reached between the two countries on January 29, 2015, while the use of Port Sudan has started by the importation of 50,000tn of fertilizer. Ethiopia had expressed its dependence on Port Djibouti as a concern when it issued a one billion dollar sovereign bond in October 2014. The move towards issuing the bond came after Ethiopia got a ranking of B+ by foreign rating companies namely, Moody’s, S&P and Fitch. It seems that the effort to reverse the full dependence of the country on Djibouti by finding alternative ports is bearing fruit. 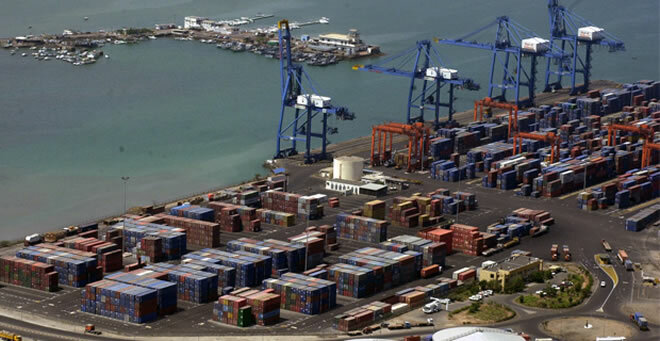 Considering the annual average growth rate of Ethiopia, that is 10.1pc through the five years of the Growth and Transformation (GTP) period, Djibouti has started 9.8 billion dollars of expansion of Port Djibouti. The expansion, which is meant to be completed by the end of 2017 is planned to increase the capacity of the port 15 times. Ethiopia is also undertaking construction of a 98Km railway that will stretch from Somali, a region in eastern Ethiopia, to Djibouti. It is being constructed by a Chinese firm, China Civil Engineering Construction Corporation (CCECC). The 1.98 billion dollars project, according to the CCECC website, is financed by the Chinese Export Import (EXIM) Bank. The Ethiopian Shipping & Logistics Services Enterprise (ESLSE), which has 15 ships out of which two are for oil, has finished dealing with an agent in the Berbera Port and one of its ships will be deploying 20 to 30 containers to the port this month. The agent is a Member of GSK Group of Djibouti. For now ESLSE will be bringing goods to Berbera from India, Middle East and Saudi Arabia while planning to extend its reaches to China and the Far East, according to Alemu Ambaye, (Chief ENG), Shipping Services Sector deputy chief executive officer. “In terms of suitability, while Berbera has a slight closeness to our country, the road to it is not suitable,” Alemu told Fortune. The road that extends from Jigjiga-Togo-Wuchale is concrete asphalt but the road within the border of Somalia is not suitable and therefore the Ethiopian government is working with the Somali government to source financing, according to Samson Wondimu, the communications director at the Ethiopian Roads Authority. The port, for the time being is going to be used for importation of coal according to Tesfaye Chanchissa, public relations officer at the Ethiopian Maritime Affairs Authority. The rate of payment, which is based on loading and unloading of goods is also said to have a slight difference from Djibouti although it is yet to be experienced, according to Alemu. The service that the Shipping lines will give will be transshipment- which means the ships will come mainly to Djibouti and will go to its place of origin after reaching the Port of Berbera. The ESLSE ship that is coming from Dubai will reach Djibouti then Berbera and finally go to Dubai. “We will use alternative ports without affecting the benefits of other ports,” stated Workineh. The same as Workineh, Alemu also believes that there is enough load that can suffice all the ports. The ESLSE will be deploying goods at the newly agreed ports every two weeks. It has also made new customers in the line which is why it started the new route. Ethiopia has been using Port of Sudan for its exports. Currently, Ethiopian cargo, especially container, delivered to Port of Djibouti is around 10,000 containers a month and 550 – 600 trucks leave Djibouti to Ethiopia every day carrying Ethiopian cargo, according to a data from Ethiopian Maritime Affairs Authority. ISTANBUL — A state-sponsored program to build mosques in countries from Kazakhstan to Cuba has emerged as a foreign policy instrument for Turkey, boosting the country’s claim to a place on the international stage as a leader of the Islamic world that looks after Muslims everywhere. During a visit to Cuba this week, President Recep Tayyip Erdogan told the government in Havana that Turkey would like to build a mosque in the capital, which would be the first place of worship for the island’s 3,500 Muslims. Erdogan said he was sticking to the project although Cuba’s leaders told him that they had already made an agreement with Saudi Arabia to erect a mosque in Havana. Turkey’s project for Havana centers on a design inspired by a famous 19th-century mosque in the Istanbul neighborhood Ortakoy on the shores of the Bosporus, Erdogan said. “We told them that ‘we can build the Ortakoy Mosque in another city if you have agreed with others for [a mosque in] Havana,’” Erdogan said. He insisted Turkey wanted to build the mosque alone, without foreign partners. Erdogan added that the Directorate of Religious Affairs, or Diyanet, a Turkish state institution that administers Turkey’s 80,000 mosques and runs the international mosque-building program via a foundation, and Turkey’s development aid agency, TIKA, would keep track of the mosque project in Cuba. “There has been no negative approach” by the Cuban authorities regarding the Turkish proposal, Erdogan said. The mosque mentioned by Erdogan is not the only project for Turkey in Cuba. The Diyanet said recently that it aims to build a second mosque in the southern Cuban city of Santiago. Erdogan first mentioned the possibility of Turkey building a mosque in Cuba last November during a speech in which he said Muslims had discovered America before Christopher Columbus. He stated that Columbus had mentioned a mosque on a hill in Cuba and said he was in talks with the Cuban authorities about building a new mosque on that hill. There is also a Turkish-built mosque in Haiti. According to the Diyanet, Turkey is currently involved in the construction of 18 big mosques in about a dozen countries, including the United States, Russia, Kazakhstan, Kyrgyzstan, Albania, the Philippines, the United Kingdom, Palestine and Somalia. In total, the Diyanet foundation TDV has overseen the construction of around 50 mosques in 25 foreign countries since it was created in 1975. The ongoing project in Tirana, the capital of Albania, will be the biggest mosque in the Balkans, providing praying space for 4,500 worshippers. The Diyanet says it’s also helping to repair mosques abroad that have been damaged by war. Meanwhile, Erdogan has been underlining Turkey’s ambition to act as a spokesman for the Islamic world, especially with a view to perceived injustices by the West. During a visit to Colombia this week, he criticized the current makeup of the UN Security Council and noted that no Muslim nation was permanently represented in the world organization’s top decision-making body. He also chided US President Barack Obama for not speaking out after the killing of three Muslim students in the US state of North Carolina. Ankara signaled its intention to make use of the Diyanet in foreign policy last year, when the Cabinet decided to put the religious affairs directorate under direct control of Prime Minister Ahmet Davutoglu; the Diyanet was answering to a deputy prime minister before. The move was seen as a sign of a new “campaign of religious diplomacy” by the press. Also last year, the Diyanet organized a conference of Sunni and Shiite scholars in Istanbul in an effort to calm rising tensions between the two main denominations of Islam. At the time, Diyanet Director Mehmet Gormez said Turkey should “not lose its role as a referee” in religious tensions in the region. Beril Dedeoglu, a political scientist at Istanbul’s Galatasaray University, said building mosques abroad fulfilled several functions for Ankara at once. “On the one hand, the help offered by Turkey prevents more radical groups to extend help to Muslims there,” she told Al-Monitor. At the same time, the mosque-building program served “as an instrument of soft power to widen Turkey’s influence,” she added. Turkey was trying to strengthen its drive to become a role model for other Muslim nations, Dedeoglu said. As a Western-style democracy with a strong market economy, Turkey is keen to present itself as an example for a successful modern Muslim nation. Dedeoglu added she also suspected domestic policy calculations behind Erdogan’s efforts to build mosques in places like Cuba. “It is a signal to voters before the elections,” she said in reference to Turkey’s next parliamentary poll, scheduled for June. Until he had to step down as party leader when he became president last year, Erdogan led the ruling Justice and Development Party, a party with roots in political Islam and a power base of millions of conservative Muslims in the Anatolian heartland.